As you might know, Brian has been brought up from the DL for the Dodgers. I saw him last night at the Giants game (literally teared up) and he was pretty emphatically booed by the crowd when he began warming up in that awful blue uniform. He didn’t actually pitch last night, but according to the paper, his coaches say he’s looking at lot better after taking time off to deal with elbow irritation. He’s had two Tommy John’s so. We can expect the irritation. His beard was still glorious, and he danced around a little nervously during the opening ceremonies that were in honor of Jackie Robinson day. I would have given anything (like a really long hug) to know what he was thinking, standing on that field, being booed by the crowd that had once loved him so. We turned him into a legend. I respect that he still just wants to play the game…it just hurts that it has to be with the Dodgers. With my sister in the first row! A small word about Brian leaving the Giants for the Dodgers… My Official post of HeartBreak can be found here. Obviously, when I got the news, my heart shattered into a million pieces. I wasn’t too surprised that he wasn’t getting resigned by the Giants. Afterall, second Tommy John surgery, and they’ve had a bit of beef. But I am pretty upset that it’s to the DODGERS. Our SWORN ENEMY. What could be worse? Only the Yankees, maybe, but I think Wilson’s facial hair automatically disqualifies him. I was so upset with the news, I UNFOLLOWED HIM ON TWITTER. If that doesn’t say feelings are hurt, then I don’t know what. is the dream finally dead?! But if we Giants fans are anything, it’s clever and good-natured and loyal and heart broken omg I really can’t believe it Brian don’t go!!! Insert a million sad faces. Now back to the archives and information. Many people arrive on this site searching for information about the man, the myth, the legend, Brian Wilson. I am more than happy to share some of my wealth of knowledge, and definitely all my loving posts about the WORLD SERIES CHAMPIONS and their enigmatic closer, BWils. Here are links to a bunch of posts I’ve dedicated to him, and my favorite pictures. Scroll down further for news items about Brian. At the bottom you will find a fantastic slideshow of several of my favorite photos of my boyfriend Brian Wilson, ripped from different places on the internet machine. Stay delicious, my friends. Oh and you’re welcome. 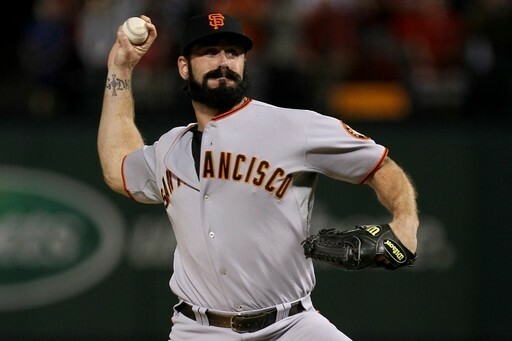 My 100th post, dedicated to Brian Wilson – this post talks about all the ways people arrive on my site looking for Brian-related information, ie his catch phrases, tats, and our future together. 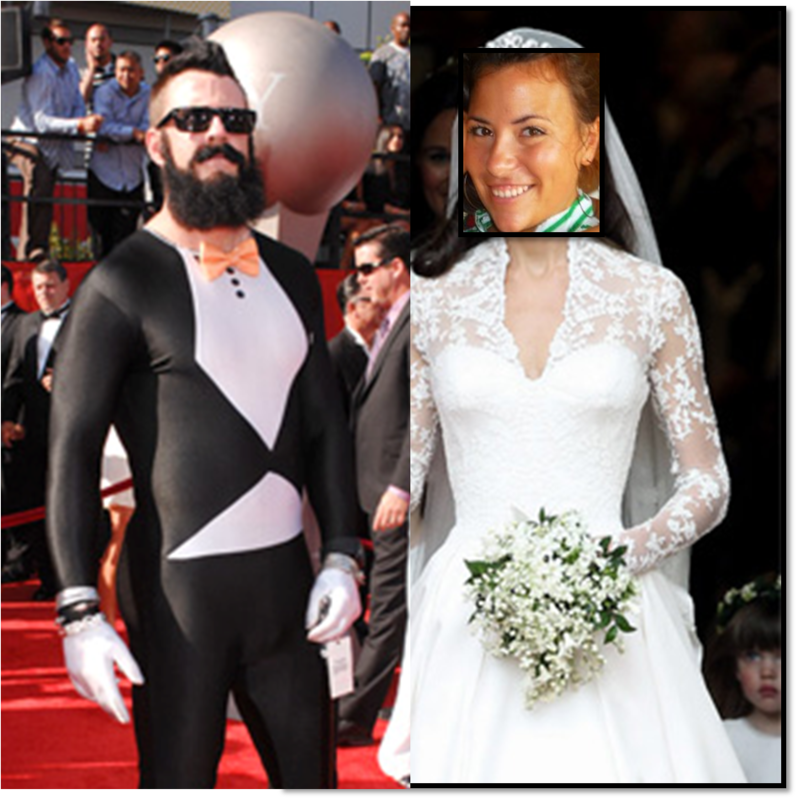 Brian Wilson at the ESPYs…the unitux seen round the world… No one could have rocked it the way he did. Recent News Stories, Links, other blogs I’ve written…. March 7th, 2013 – Brian hangs out at Disneyland as Buzz Lightyear…why wasn’t I there?!?! January 20, 2013 – Brian working out for the Mets?! Here for the MLB video. March 11, 2012 – Brian finally made his Spring Training debut for 2012…threw nine pitches, six strikes. Bochy commented that he seemed “pretty proud of himself for those nine pitches.” He’s also clearly lost some weight and looks better than ever. And I never thought I could say something like that. February 19, 2012 – Brian Wilson is announced as part-owner of Lucky Strikes Bowling alley, set to open up as a swanky booze/bowl soiree across from ATT Park. Supposed to be super hard to get in…I will probably try and stalk Brian there and report back. Brian has a twitter account and he recently uploaded a pic of himself as he is about to return opening kick off :) So awesome. Brian apparently has too much time on his hands during this offseason (sniff sniff…I miss orange October!) and has been peddling Chalupas and random internet things. But, because I love him so, I forgive him for selling out and being the voice of a company like Taco Bell. Also, his commercials are Hilarious. And he’s gorgeous. So there. Link to video featuring Brian Wilson and other “celebrities” arguing that Ed Lee is 2 Legit 2 Quit being Mayor of SF….pretty great…..click here. Make sure you check out the bloopers of Brian dancing!! Link to all commercials – here. Scroll down for the Taco Bell commercial video. Things I’m definitely NOT OKAY WITH….Brian was spotted celebrating his 29th birthday with some coeds at Arizona….dressed like hos. Seriously. COED magazine is even offering $20 for whoever can identify a blonde with particularly large….assets. I’m not impressed, Brian. Not. Im. Pressed. 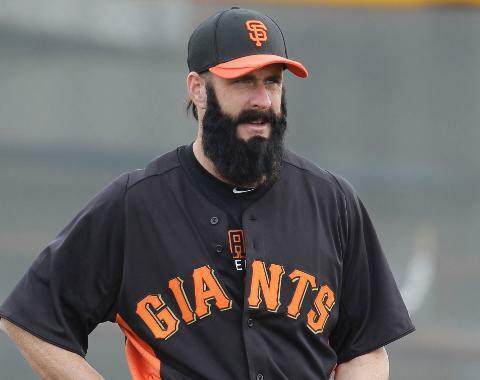 Brian Wilson – Always Epic – This post has a link to the MLB video where you can virtually touch Brian’s beard, and see all the little people dancing inside of it. Also Bigfoot is there. Top 10 Reasons I Top 10 Reasons I love the SFGiants – Play by play of the top ten reasons I love our boys in the black and orange. From Kruk and Kuip to the rally thong to Pandamania to the very real torture….this is the best team in baseball. FACT. SF Giants – This one’s for the girls! 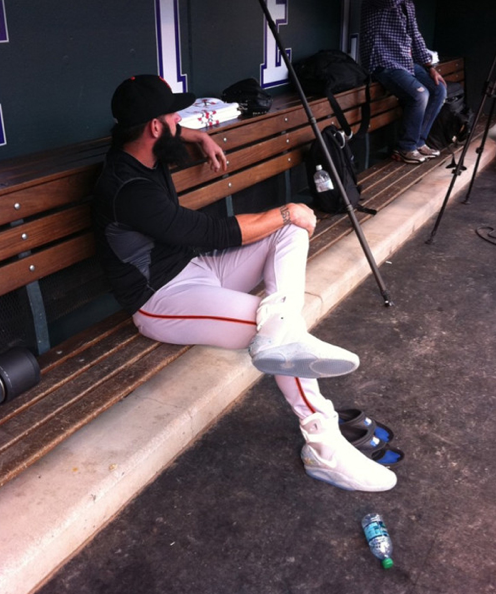 – I understand not everyone can handle all the awesome on the feet and the facial hair and hilarity that is Brian Wilson. Sometimes my eyes wander to the other men on the team, too. Here begins a series where I nominate runner-up hotties from the Giants team, three at a time, giving the quick facts that girls need to watch the game, if you’re not as statistics-obsessed as some. IE cute pictures, position, marital status, and fun facts. This one’s for the girls…Part TWO! – Featuring Belt, Vogey, and more! if someone could get me THIS for Xmas…that would be swell. Brian minus shirt = fantastic. 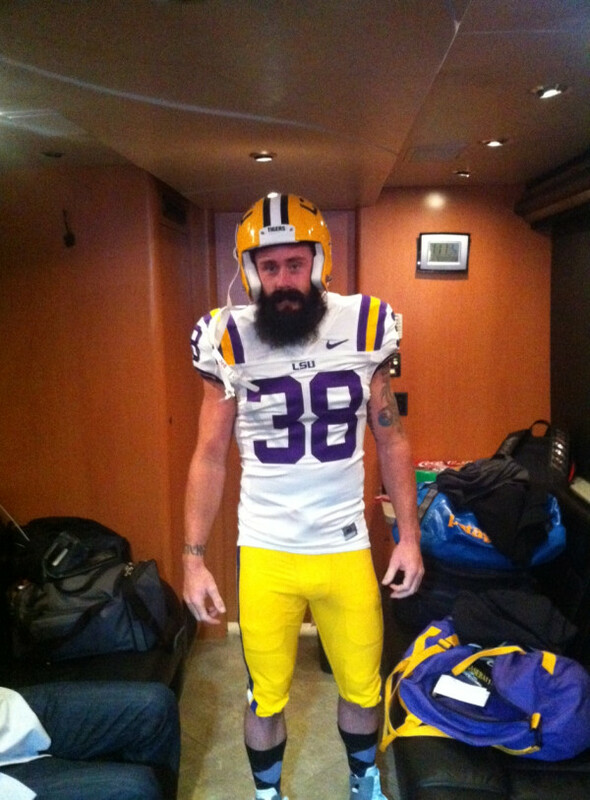 I know Brian Wilson is very hot and awesome and sweet. FACT. but im pretty sure i know alot more than the person who made this website. ( not to be rude) i also joined twitter for Bweezy and i know everything about him and i am gonna get a hug from him and a pic with him on august 7 at the giants game. ( which is my birthday) Ive seen him on all the reality shows ( jay leno, the cheap seats, jim rome etc.) i am is #1 fan and i mean that. Wow, Gianna. You sound pretty passionate about Brian Wilson. What precious pieces of information about him have I missed on here? I want to know more about who Jesus really is,what He wants from me while Iâ� m here, what Heaven is really like. Its excellent as your other articles : D, thankyou for posting . “To be able to look back upon ones life in satisfaction, is to live twice.” by Kahlil Gibran. 151 – FreakyFriday – How the Google machine finds my blog… | danger.danger.danger. 179 – Bwils…keeps getting better. | danger.danger.danger. 220: Search thyself | young, single, (un)professional. 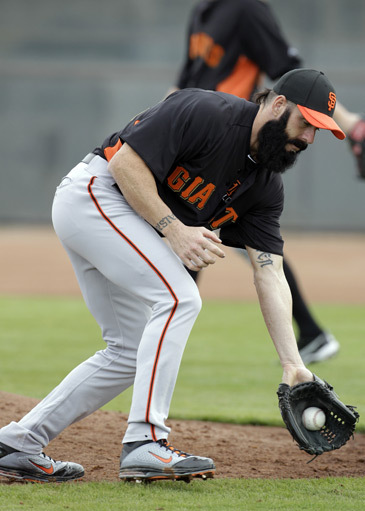 274: Boyfriend Brian Wilson out for Season? | young, single, (un)professional.